Dicer can be used with any MIDI-compatible software. 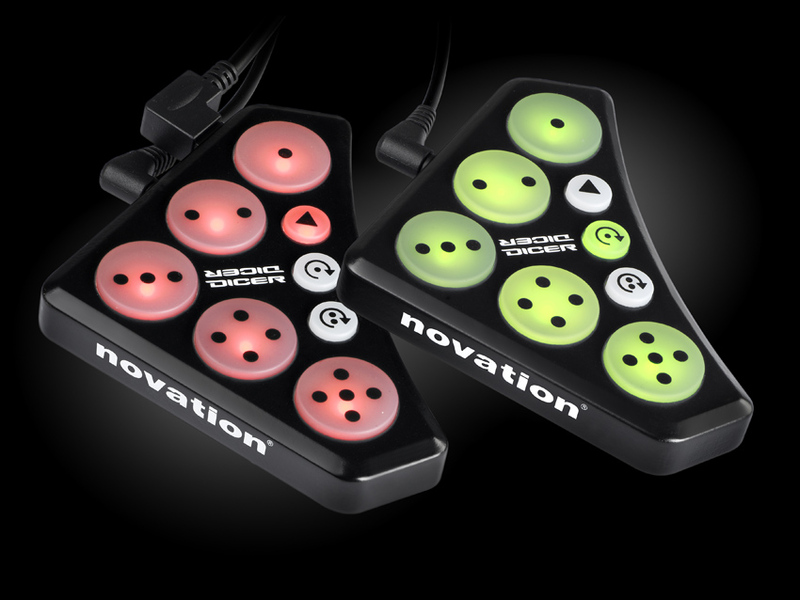 PRESS RELEASE: Novation introduces Dicer, a performance controller designed especially for the digital DJ, and seamlessly integrated with the cue-point and looping features of Serato Scratch Live. Supplied in pairs, the compact USB-powered devices are compatible with any Scratch Live setup, whether using turntables or CDJs. Dicer is the ultimate performance upgrade for Serato, and in fact for any digital DJ. With a pair of Dicers in your DJ setup, you can mash-up your beats on the fly, and create a unique performance every time you play. Multi-colour backlit soft-touch 'dice' buttons provide real-time visual feedback from the software, and Dicers are so small and rugged that they can be dropped into your laptop bag at the end of the night. Their compact form factor and versatile mounting options enable them to be fastened securely on the corner of turntables, CDJs or a laptop: Dicer mounts into the 45RPM-adaptor hole on a Technics 1200-series turntable, or on to any flat surface using Novation's removable DJ putty. Battle-style or standard, Dicer fits ergonomically into any turntable setup, and one-deck configurations are fine too: just use the reusable DJ putty to secure the second Dicer to your laptop. Just like Launchpad, which revolutionised the way electronic musicians play Live, Dicer will change the way the Scratch Live DJ performs. 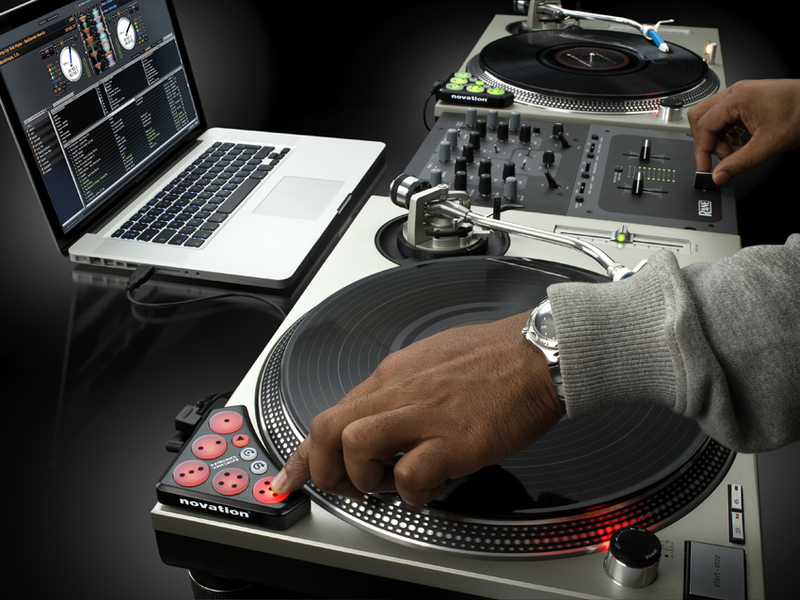 With Dicer on the corner of the turntable, CDJ or laptop, you have instant control of Serato's Cue-Point, Loop Roll and Auto-Loop features literally at your fingertips, allowing you to throw tricks into your set without touching the computer. Now, you have the freedom to turn your DJ set into a true performance. A pair of Dicers requires just one USB socket; an included mini-jack cable provides data connection and bus power to the second unit. Dicers are class-compliant MIDI controllers, and they can be used straight out of the box on a Mac or PC without installing any custom drivers or additional software. 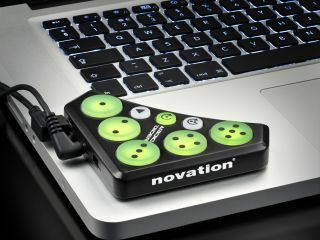 As standard MIDI devices, Dicers can be programmed to control any MIDI-compatible software, such as Native Instruments Traktor, Ableton Live or Propellerhead Reason. What's more, using Dicer's shift functions, up to 60 MIDI assignments can be made, to control everything from effects plug-ins to software samplers and instruments.